Home - Sandscapes Landscaping Inc.
Professional Landscape Services to the Outer Banks Since 1999. Unique Outer Banks, NC landscaping design & installation services. Our residential landscaping services can fit most any budget, click here to view our recent projects. Click here to view our amazing exterior landscaping creations. We can create just about anything you can dream of... Contact us today to start living your dream. 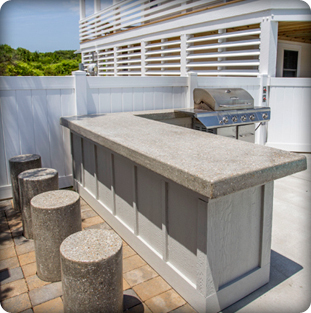 Landscaping maintenance solutions for residential and commercial clients on the Outer Banks. Built on a solid foundation of reliability and integrity, we are the Outer banks’ premier choice for landscape design-build services, maintenance and commercial landscaping services. Sandscapes, Inc. was established in January 2000, and since that time has provided prompt, professional landscape services to the Outer Banks, from Corolla to Ocracoke. Owned and Operated by Husband and Wife Team, Sarah & Orlando Altamirano, Sandscapes, Inc. is a family business. Sarah, a local to the area, has 16 years experience in the design and installation of landscapes. She has a B.A. with Honors in Anthropology/Archaeology from the University of North Carolina at Chapel Hill. Sarah overseas the Design Department, Office, and Estimates. 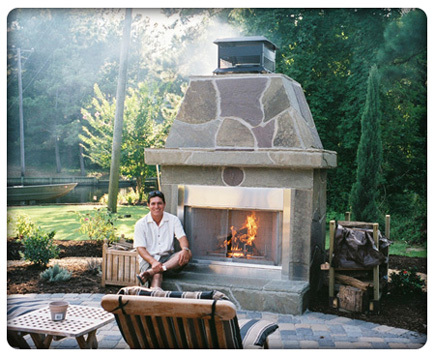 Orlando has 14 years experience in landscape installation, masonry, and paver installation. He heads up the installation division of the business, runs the crews, and operates the heavy equipment. He has a great eye for hardscaping design! Our staff is always exceptionally trained and managed in order to ensure the proper installation and maintenance of your landscape. One of us is always on your job to supervise, from start to finish! While we offer a full range of landscaping services, our core concentration here at Sandscapes Landscaping remains on maintaining residential and commercial properties. Sandscapes Landscaping adheres to the highest standards of quality to offer you truly hands-free maintenance of your lawn, plants, and trees. Please email with any inquiries to: sandscapesinc@msn.com Landscaping Outer Banks Landscaping, Excavating, Landscapers and Garden Experts The Outer Banks Premiere Exterior Design Company.